The summer-like spell of warm weather has been celebrated by the explosion of colour in our gardens. April is the month of cherry and apple blossoms. It is however also the month that we see one of the most majestic flowering trees in its magnificence. 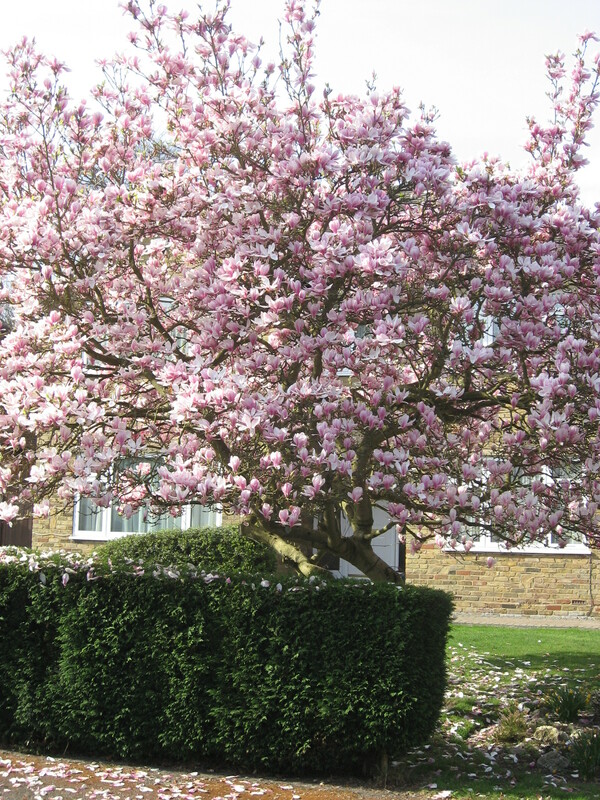 The Magnolia, flowers in all shades from the purest of white through a range of pink and cerise to deep dusky carmine, the stature of its blooms are unsurpassed. The beauty of the flowers of the Magnolia salicifolia ‘Wada’s Memory’ is in their simplicity. Six single white petals create a soft star, a little like handkerchiefs on a washing line. The centre of the flower is a simple open button attracting insects to collect and spread its pollen. 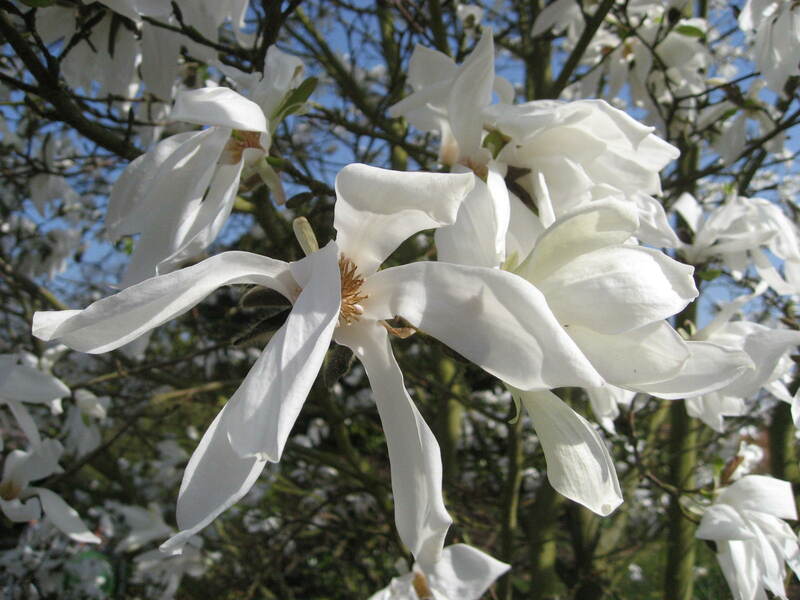 There are several varieties of white flowering Magnolias as well as Magnolia salicifolia including the most readily available, Magnolia stellata. There are also a multitude of pink flowering varieties available. 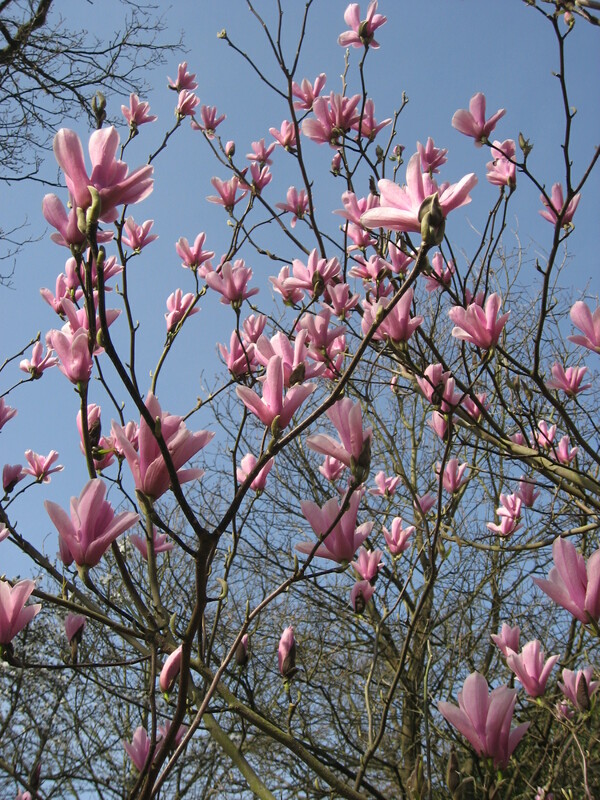 Such as Magnolia x soulangeana. 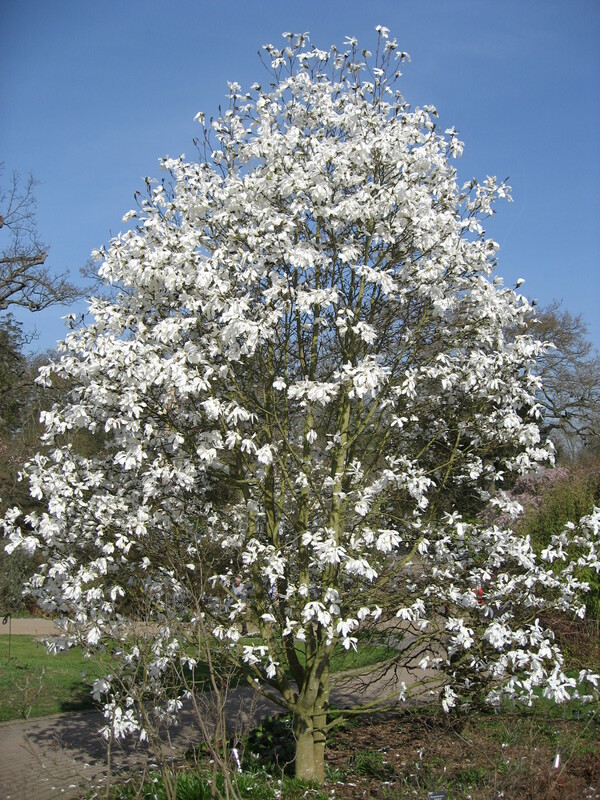 Planted in a large garden, the Magnolia x soulangeana creates a magnificent feature plant following on from the spring bulbs. If the weather stays mild during April, this will last for several weeks. They can however suffer from frost damage if the month is cold. 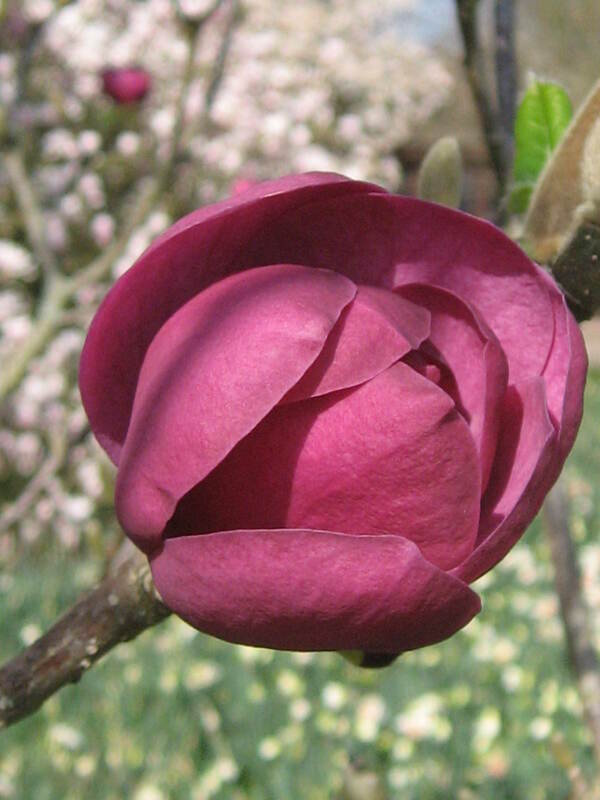 A particularly beautiful version of Magnolia x soulangeana is Magnolia x soulangeana ‘Brozzonii’. A delicate pink bloom on a more open branch structure. The large upright and full blooms start with a mid pink fading out almost to white at the end of the petals. A darker pink can be found with the next couple of varieties. 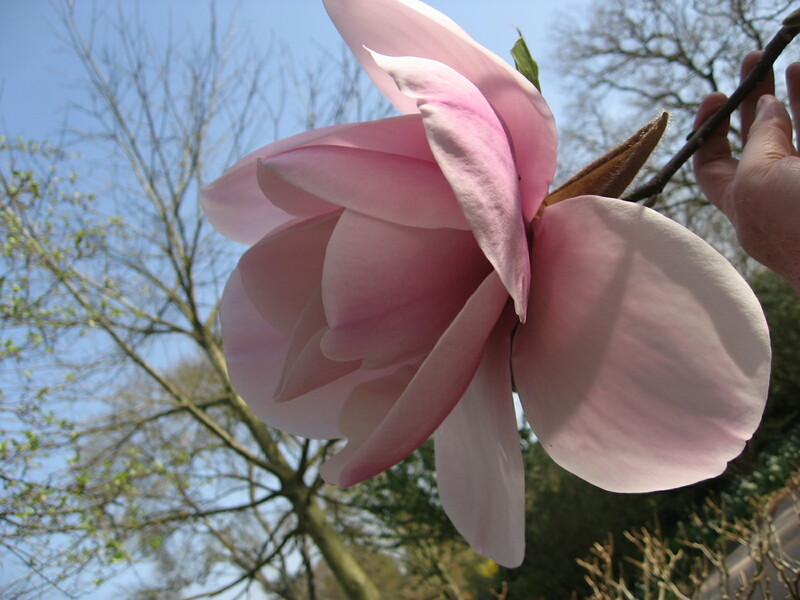 Magnolia denudata is known as the Yulan magnolia and is native to central and eastern China. It has been cultivated in Chinese Buddhist temple gardens since 600 AD where its flowers were regarded as a symbol of purity. This variety has a strong pink flower and is particularly effective planted along side paler varieties. 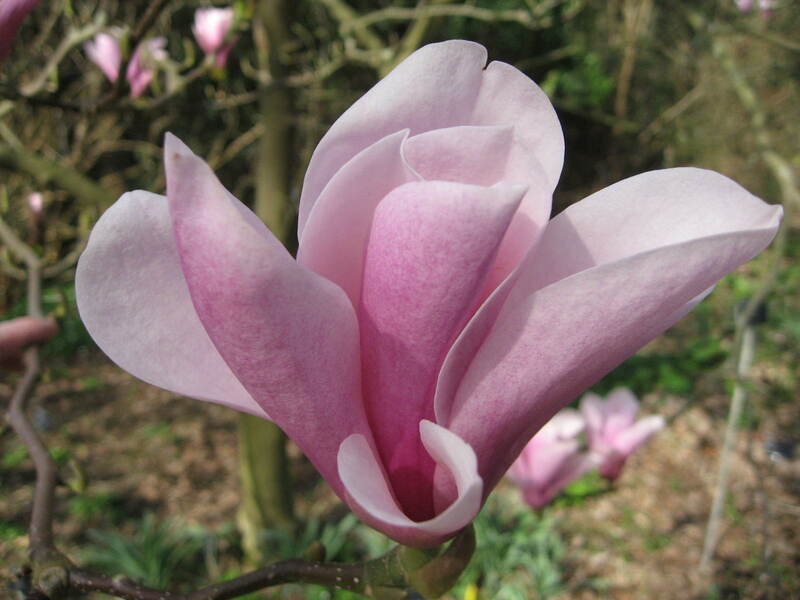 Of similar colour, Magnolia ‘Heaven Scent’ is an excellent smaller variety of Magnolia. It has beautiful pink flowers with a magenta stripe at the base. As its name suggests, it has richly scented flowers. 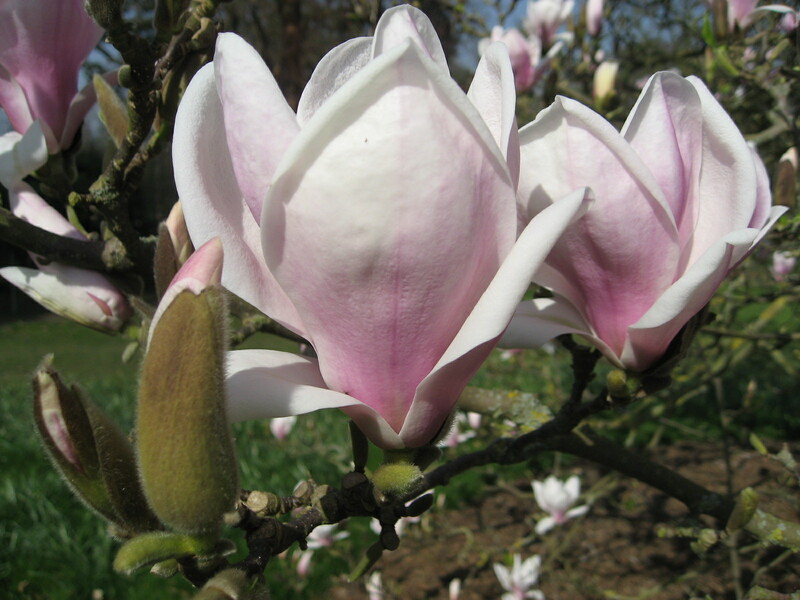 Magnolia ‘Heaven Scent’ is generally regarded as one of the best varieties available for domestic gardens. A look at Magnolias could not be complete with out looking at one of the most magnificent varienties. The size of the blooms on Magnolia ‘Atlas’ is amazing. Each flower is between 20 – 30cms across, clearly dominating the tree. Clearly these are only appropriate in large garden/estate setting where the will be a show stopper during their flowering season. 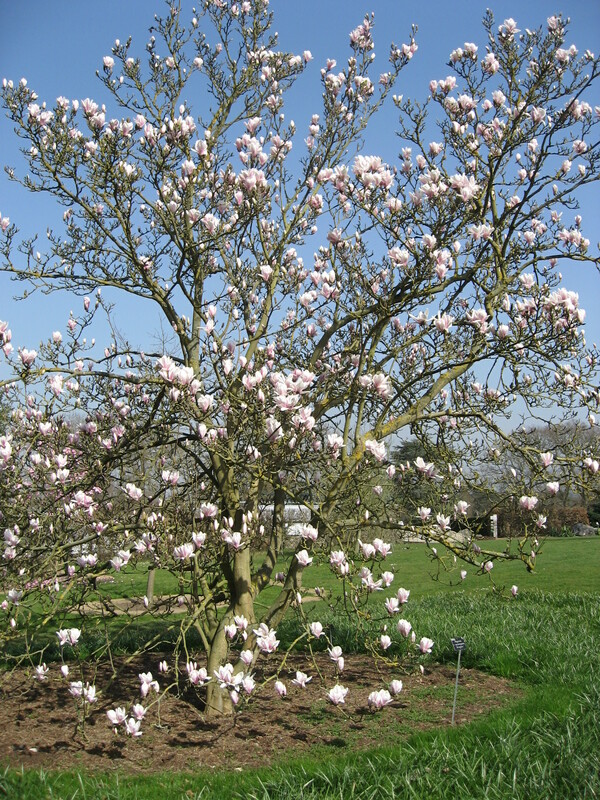 Often people are put off having magnolias in their garden for the fear they will grow too large. However, as mentioned before there are smaller varieties that are extremely suitable to a smaller garden as seen here. 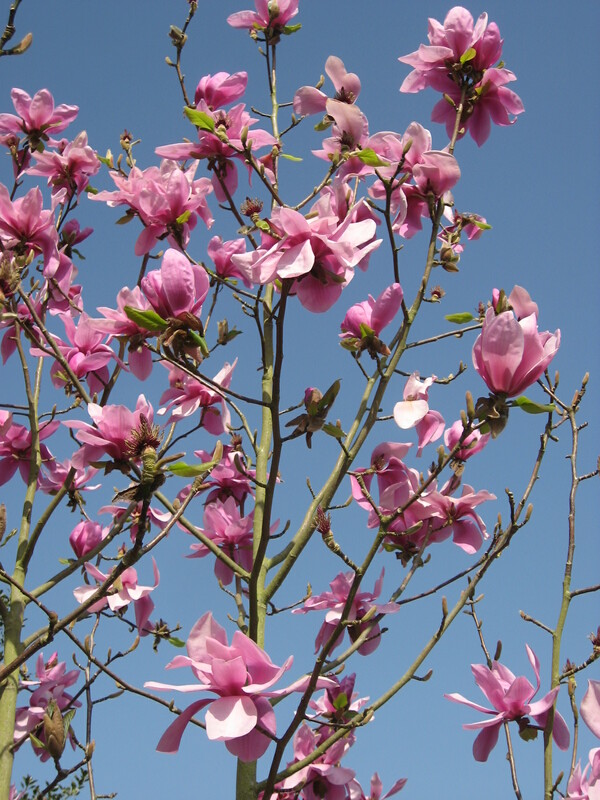 The best soil conditions for Magnolias to thrive in is a slightly acidic, well drained loam, that is rich in organic matter. They perform best if mulched regularly with plenty well rotted manure. 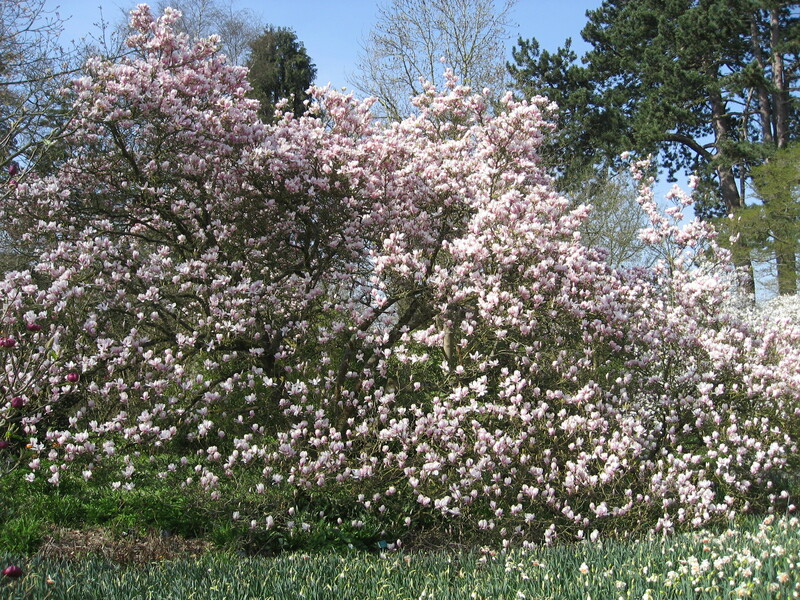 With regard to aspect, Magnolias prefer full sun but a few varieties will tolerate some shade although the less the better. Planted in wooded conditions they can be prone to stretching up towards the light and therefore becoming leggy, sparse of flower and foliage.